It wasn’t really that fast but it didn’t stop much. I sat next to kind of a crabby lady. Note how I am innocently reading my Kindle and she is kind of invading my space. 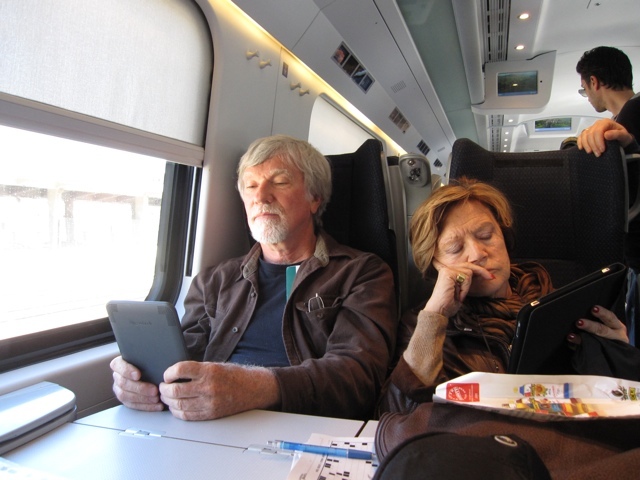 She had an iPad but I didn’t think that it in any way trumped my Kindle. Maybe she is having a ‘bad hair day’! But, her nails are pretty!